Kathleen Burke on the set of the pre-code horror treasure, ISLAND OF LOST SOULS (1932, by Erle C. Kenton). Director Karl Freund and makeup artist Jack Pierce attending to Boris Karloff’s full-body costume in The Mummy (1932). Check out this rare shot of Tod Browning on set of Freaks. Here is Martin Munkácsi’s photograph of Fritz Lang at home, Berlin, 1932. Posted on June 4, 2016 June 2, 2016 Categories JuneTags 1932, Berlin, Fritz Lang, Martin Munkácsi1 Comment on Fritz Lang at home! Norma Shearer, star of The Women (1939) photographed by George Hurrell, 1932. Tod Browning on the set of FREAKS. 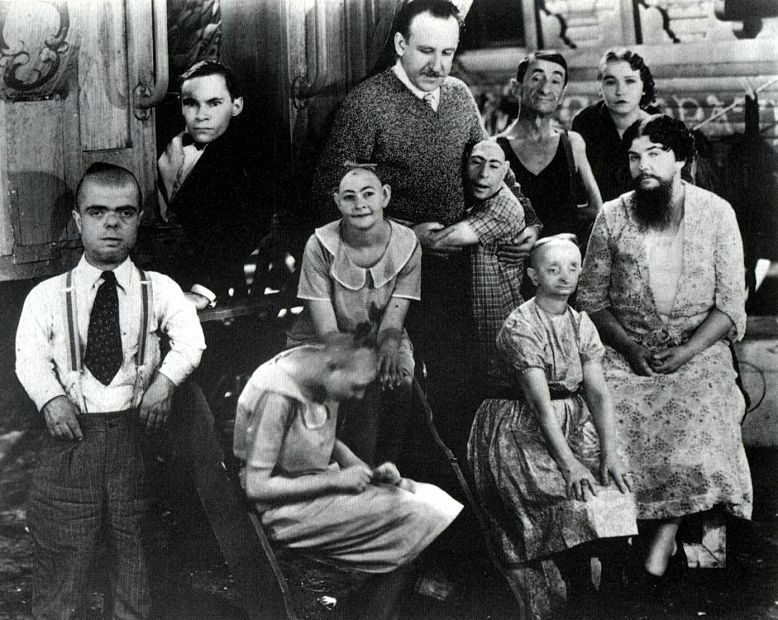 Director Tod Browning and the cast of Freaks. Unknown photographer. Click here for a rare photo of Murnau on the set of Faust. Posted on May 16, 2013 May 14, 2013 Categories MayTags 1932, Freaks, horror, on set, Tod Browning2 Comments on Tod Browning on the set of FREAKS.